In the five years since the Twilight Sad’s last album, they’ve lost their founding drummer, opened for The Cure at some of the world’s largest venues and signed a new record deal with Mogwai’s label Rock Action. All three events leave positive marks on ‘It Won/t Be Like This All The Time’ (yes, that really is a slash, not an apostrophe): increased drum programming in the wake of Mark Devine’s departure, particularly on album bookends ‘[10 Good Reasons For Modern Drugs]’ (the punctuation eccentricity continues) and ‘Videograms’, adds an irresistible motorik force to their already impressive sonic heft, ‘VTr’ and ‘I/m Not Here [Missing Face]’ (more orthographic fun) are the kind of infectious songs built for performance in gargantuan outdoor stadiums, all instantly chantable choruses and heroically soaring guitars, while the sparsity of recent Mogwai bleeds into the gorgeous synth-and-feedback textural throb of ‘Sunday Day13’. 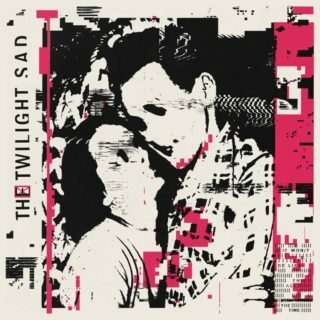 And yet, despite wearing band developments and elder influences on their sleeve, with album five the Twilight Sad seem now to have reached a point where they sound, pleasingly, only like themselves. That’s largely thanks to James Graham’s singular voice, inimitable in both its proud Scottishness and its intimate honesty, but also to the lyrical fug of belligerent optimism that cloaks their work. Few bands of the Twilight Sad’s generation have even made it to album five, let alone grown with each release, but ‘It Won/t Be Like This All The Time’ is the sound of a band in rude health.